Edmund Capon, Parallel visions: works from the Australian collection , 'John Brack / Jeffrey Smart', pg. 116-127, Sydney, 2002, 124, 126 (colour illus. ), 146, 147. 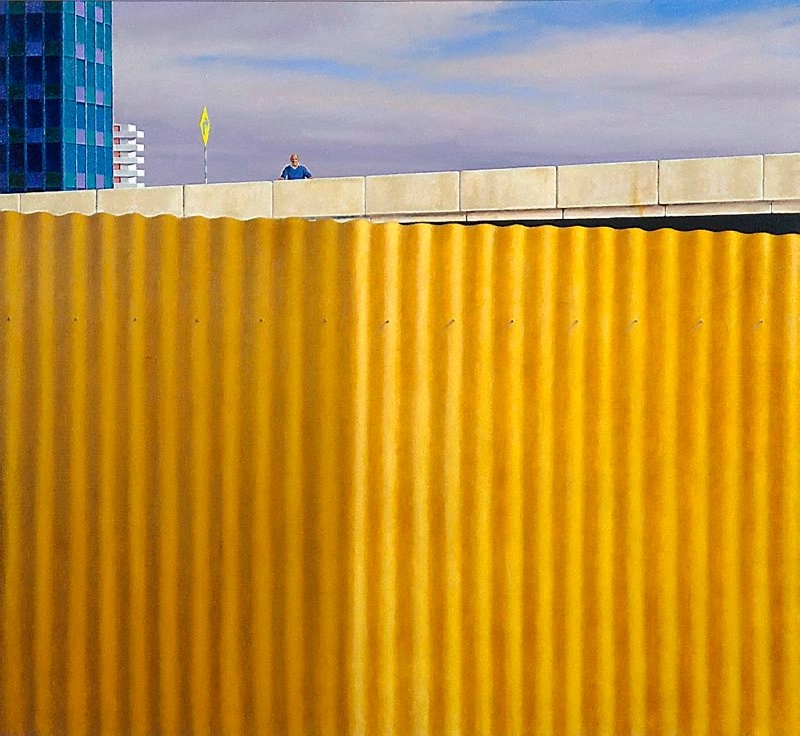 Jeffrey Smart, Look , 'A pat on the back', pg. 14-15, Sydney, Jun 2002, 14. Photograph of Jeffrey Smart and Margaret Olley standing in front of the painting during the exhibition 'Parallel Visions'. Judith White, art lovers: the story of the Art Gallery Society of New South Wales 1953-2013 , 'Chapter 5: Be part of the art 1988-2000', pp. 111-138, Sydney, 2013, 115, 231 (colour illus.). Judith White, Look , 'Smartpeople', pg. 20-21, Melbourne, Sep 1999, 21 (colour illus.). I blame Duchamp: my life's adventures in art , 'Jefrrey Smart: a man of great composure', pg. 179-190, Sydney, 2009, 189, 191 (colour illus.). Jeffrey Smart , 'Art and life in South Australia', pg. 24-69, Sydney, 2005, 54, 170, 224 (colour illus. ), 256. AGNSW Collections , 'From Colonialism to late Modernism', pg. 7-106, Sydney, 1994, 86, 87 (colour illus.). Doors to a wider place: Stories from Australia , Oxford, 2008, front cover (colour illus. ), back cover (colour illus. ).